Eunectes beniensis Dirksen 2002. Type Locality: Trinidad, Beni, Bolivia. Holotype: AMNH 101924. Eunectes beniensis is known from relative few specimens from northern Bolivia. The largest specimen was a 3.2 m female. It is known to use aquatic situations in open habitats. 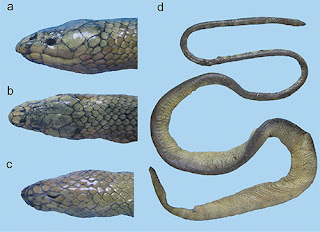 It is similar in appearance to the Green Anaconda, Eunectes murinus.